"Which data recovey softwares is the best for macbook air? Notice that I can't determine which one is the best by using those softwares as free to check if all files are recoverable." Data loss is an inevitable situation and we all go face it at least once in our life. However, if you are well-prepared, you can recover some or all your data using free data recovery software Mac. 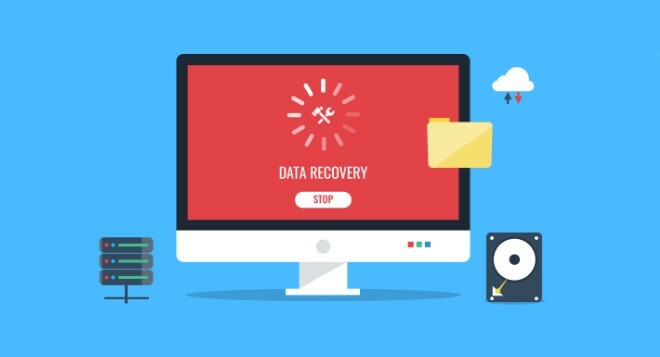 The data recovery software come with the features to help you recover even those files that have been lost due to various data loss situations. In the following guide, you will learn about ten free data recovery Mac tools that will help you restore lost data on your Mac machines. Most of these software have intelligent and easy to use interfaces, so you will not have any issues recovering data on your machines. From the powerful range of Tenorshare products, Tenorshare UltData - Mac is a feature-packed tool to help you recover your lost data from various situations on your Mac. The software has built-in complex algorithms that work day in day out to help you recover as many of your lost files as possible on your machine. Recover lost, deleted, or formatted data from Mac hard drive. Restore data such as videos, pictures, documents, audios files and up to 500 kinds of files from Mac. Recover data from external hard drive, memory card, USB flash drive on Mac. 100% guarantees your data security and data recovery rate. Limited to recovering only 500MB of your data for free. UndeleteMyFiles follows a basic and straightforward method of recovering files. As soon as you install the software, you can quickly start the recovery procedure using the basic options on the main interface. Good speed for recovering files on your Mac. The free version only allows recovery of ten files and not more than that. If you are too much concerned about the confidentiality of your files, PhotoRec for Mac may be a good option for you. The reason it is good for you is because it is an open-source software meaning you can see each and every file that builds the software. That way you know if your recovered data is going somewhere it should not. Open-source and fully transparent about your recovered data. It works on multiple platforms including Mac, Windows, and Linux. It supports multiple file systems. It does not always help recover data on Macs. If the files that you have lost are not large in size, MiniTool Power Data Recovery could be a perfect data recovery software for you. It works great with small files and lets you easily recover them on your Mac. Multiple methods to help you recover your data. It can recover files only up to 100 MB in size. Due to the recover size limit, the software is not suitable for folks who have lost large files on their Macs. Disk Drill for Mac combines a set of great recovery features and an easy to use interface into a nice little tool to help you easily recover data on your Mac. If you are a feature-hungry person, you are certainly going to love the software for what it has to offer its users. Latest versions of macOS and Windows are supported by the software. The software does not have a portable version. Your data recovery is limited to 500 MB. 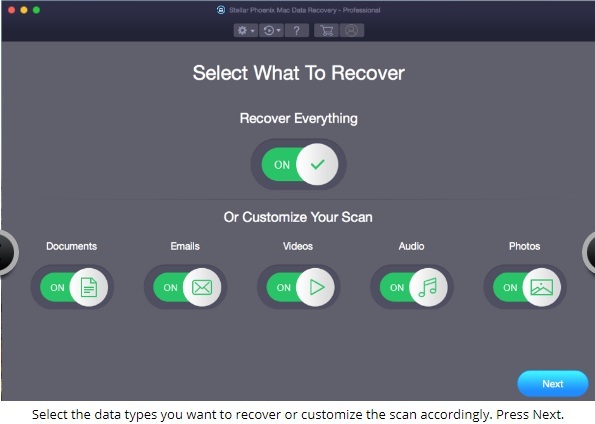 EaseUS Data Recovery Wizard is yet another free file recovery Mac software to help you recover lost data on your Mac. It works very well with multiple file recovery situations and lets you recover all of your lost files in one go on your Mac. 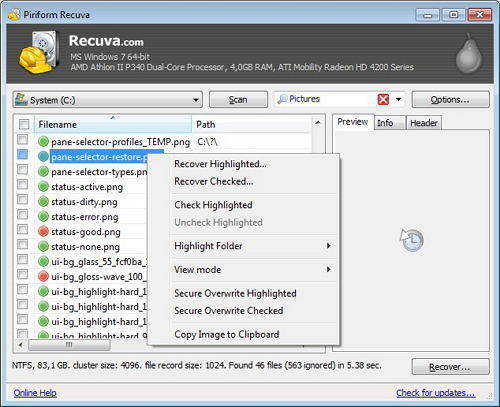 Preview your files before you recover them. The free version will only let you recover up to 500 MB of data. If the files that you lost were not photos or videos, then you can use the M3 Free Mac Data Recovery software to recover your files. The software does not seem to be working well with the aforesaid file types but it recovers other files very well. 1 GB of data recovery even in the free version. It does not work well for recovering photos and videos. Lazesoft Mac Data Recovery supports both internal and external drives to recover files from on your Mac. It can even help you recover data from deleted partitions. Free version has all the features of the software. Unlimited recovery of your files. It does not work on newer versions of macOS. If your Mac uses an HDD and not a SSD, Stellar Phoenix Mac Data Recovery software could be a good choice to recover your files. Although the software does not offer filters like the others, it recovers files very well on most Macs. High-success rate for recovering Mac files. It does not work with SSDs. Data Rescue 5 has a unique feature that it works with your Mac's Time Machine app to ensure there is no duplication in recovered files. It packs some of the advanced features of a data recovery software and is a must have tool to recover your important files. Avoids duplication of recovered files. You can preview files before they are recovered. If you want to recover deleted files Mac free, our roundup above should let you discover the best software to recover lost files on your Mac. We hope the blog helps you find a suitable data recovery software for your machine.